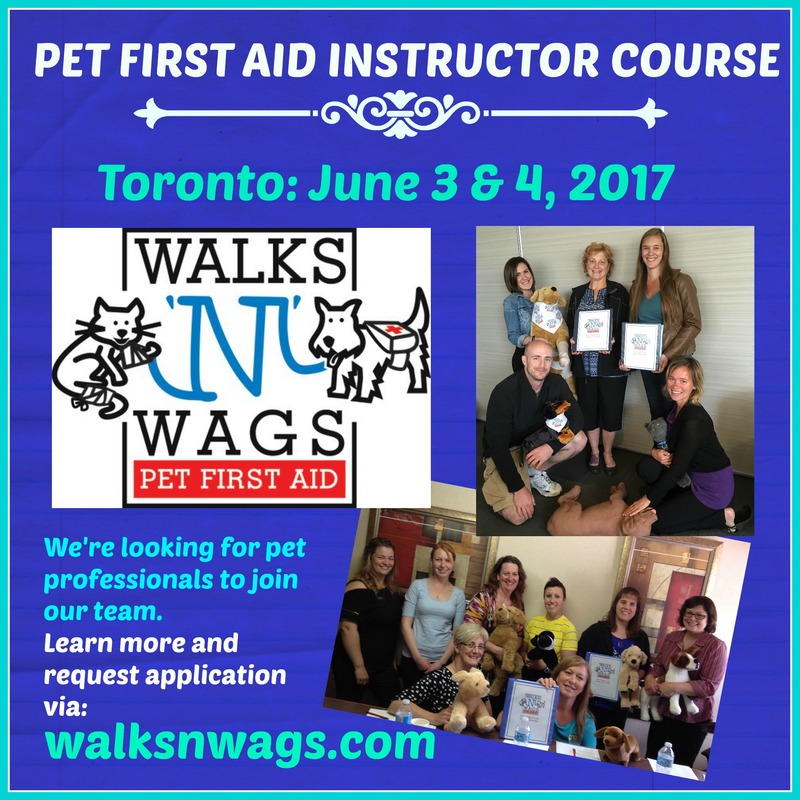 We’ve started interviews for Toronto, ON Walks ‘N’ Wags Pet First Aid Instructor Course June 3 & 4, 2017. Only 8 spaces available. Don’t miss out, apply today! Walks ‘N’ Wags is seeking dynamic pet professionals from many Canadian locations to join our Instructor family. Learn more about becoming a Walks ‘N’ Wags Pet First Aid Instructor HERE.